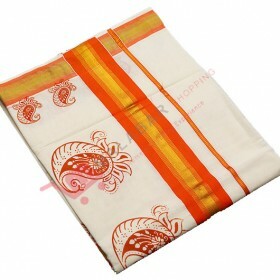 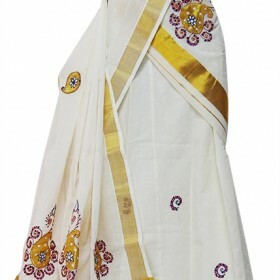 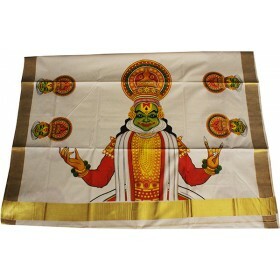 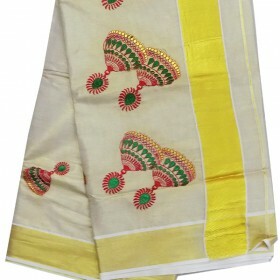 Kerala traditional theme painted kasavu saree is the traditional trend in the market. 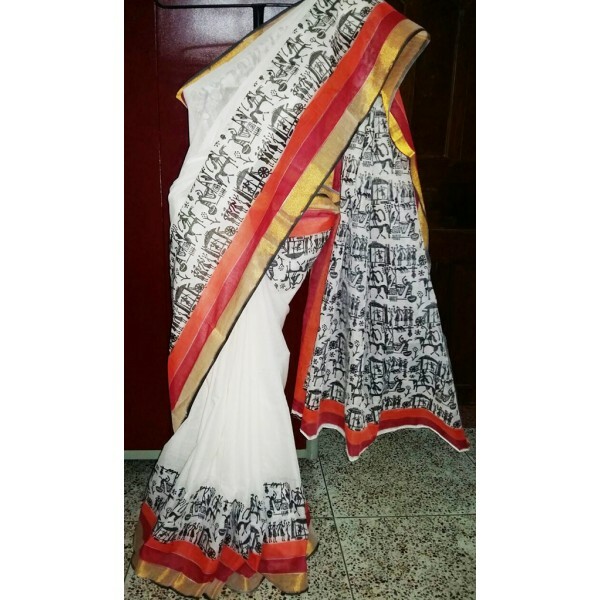 The simple black vector design painted on the border side and in it’s the pallu. 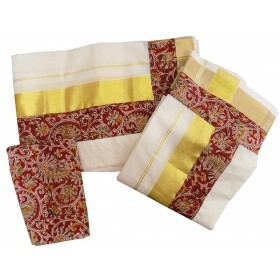 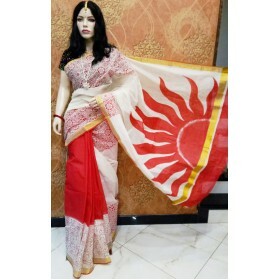 The large golden and red border along with vector design is more attract the saree. 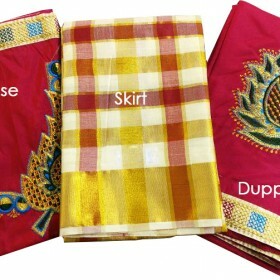 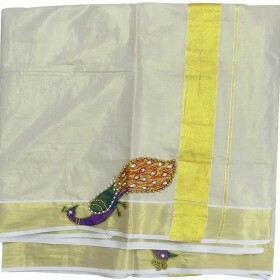 You prefer this saree for all the traditional occasions.